Can you replace your roof with a polycarbonate conservatory roof? Yes, you can replace any old conservatory roof, including polycarbonate conservatory roofs. We can provide you with a guide cost for your replacement polycarbonate conservatory roof. Our conservatory cost calculator allows you to get instant guide prices for a wide range of conservatories and roofs. We have an extensive network of recommended conservatory companies in the UK. This means we can put you in touch with trusted, local installers for free no obligation quotes. If your conservatory roof is fading or discolouring, then a replacement offers a simple, cost-effective solution. A replacement roof is a cheaper alternative than replacing the entire conservatory. Choose from a wide range of conservatory roof styles and create the perfect look for your home. A replacement conservatory roof can transform your old one into a vibrant, new living space that is accessible all-year-round. Conservatory designs are constantly changing as time moves forward, with many new styles to keep up with modern, contemporary times. 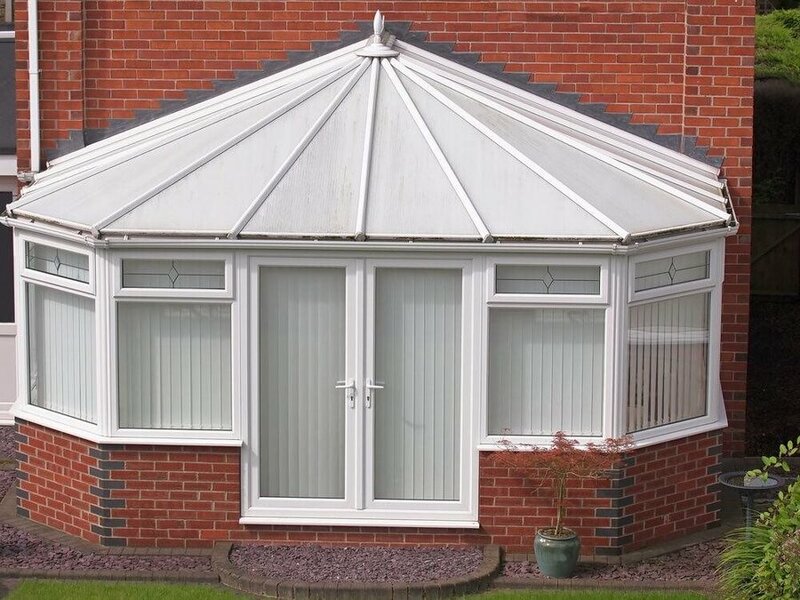 Replacing an old, outdated conservatory roof can also help to increase the value of your home. Can you replace a conservatory roof? Yes, you can replace a conservatory roof. Most people will replace their existing roof due to noticing draughts or leaks. Or additionally, you may upgrade your roof to modernise your conservatory. How Effective is your Conservatory Roof? Before replacing your conservatory roof, it is worth assessing the effectiveness of your current roof. 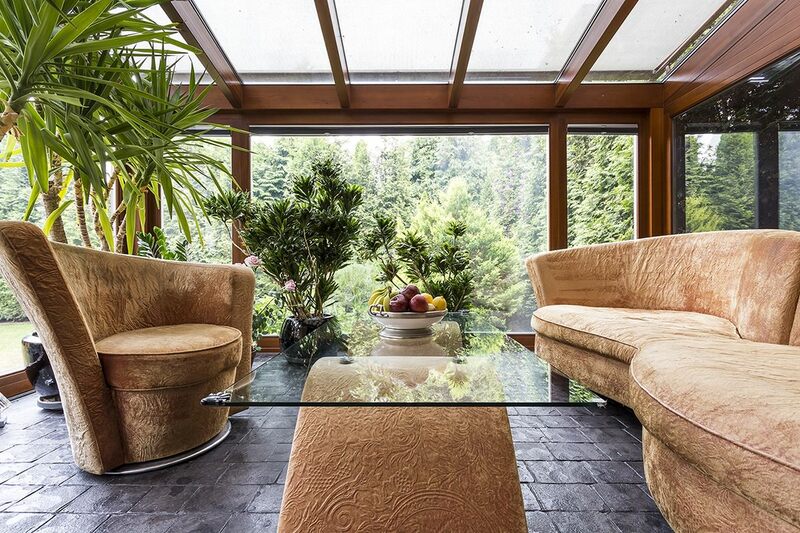 Is your conservatory in good, working order? 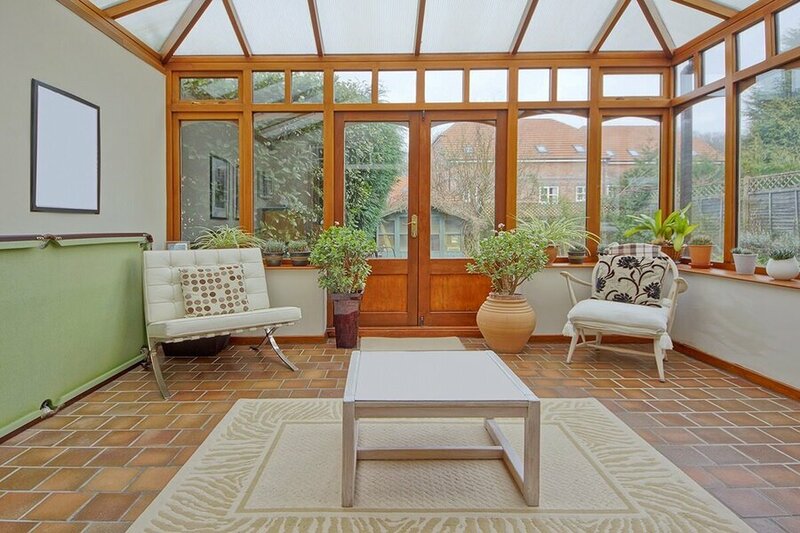 Does your conservatory roof play an essential role in keeping your room warm? If the answer to these questions is yes, then obviously there is no need to consider a replacement. You may find that your conservatory roof is unprotected from the extremities of the British weather. With your conservatory not staying warm in the winter and cool in the summer, then there is an issue that needs to be addressed. Problems such as over-heating, leaking or being too hot or cold are just some of the reasons why homeowners stray from using their conservatories. Poorly insulated roofs can cause lots of these issues for homeowners. If you are no longer using your conservatory for these reasons stated, then it is time to consider replacing your old roof. What are the Potential Problems when Replacing your Conservatory Roof? Potential problems when replacing your conservatory roof can be if you attempt to install the roof yourself. You can avoid this being an issue, by getting an experience conservatory roof installer to do this for you. The connotations of something that can go wrong if you do the installation yourself is just not worth your time. What is a Polycarbonate Conservatory Roof? A polycarbonate conservatory roof is the most cost-effective roofing option for your home. Providing a practical, lightweight roof, that can withstand extreme temperatures and protect your home from the sun’s UV rays. Polycarbonate has a slightly ‘frosted’ appearance which can give it a distinctive look which can also help to aid the privacy of your home. Polycarbonate conservatory roofs have a wide range of advantages and disadvantages just like any other roof style. Polycarbonate is the most cost-effective conservatory roof style, ranging between just £2,000 to £8,000 on average. Making this the most affordable roof style. Although polycarbonate roofs do have poorer insulation than other roof alternatives, there is a solution. You can now insert solar panels into the polycarbonate roofing which can help to make this conservatory roof warmer in the colder months. This helps the roof to be the most cost-effective option and also will keep your conservatory warm when necessary. 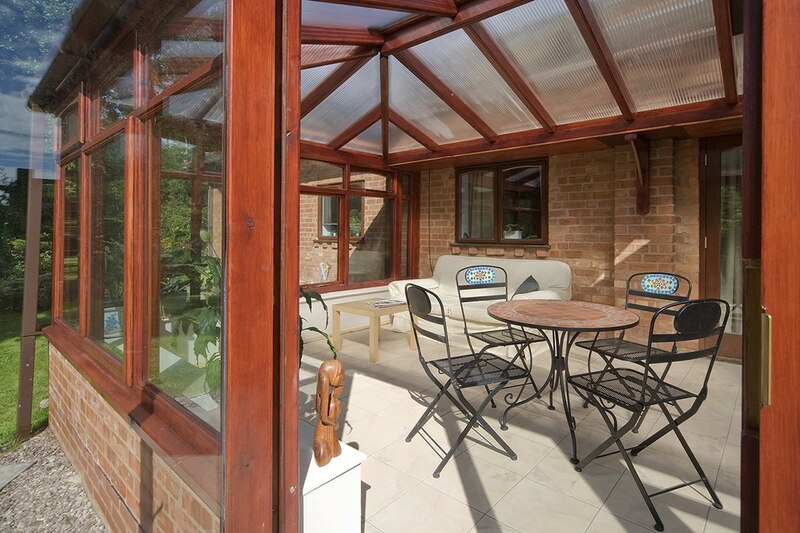 It can moderately protect your conservatory being affected by the outside weather. With its durable, yet lightweight material roof can withstand high and low temperatures. Polycarbonate roofs have poor noise insulation when it comes to bad weather. Although it can moderately protect your home from the colder outside air, it cannot protect your home from the weather noises. Poor noise insulation means that this material is insufficient at masking the outside traffic noise as well. This roof style requires additional insulation such as solar panels, for them to maintain a sufficient temperature all-year-round. Do you need planning permission to put a solid roof on a conservatory? Planning permission is not required as mentioned when you put a solid roof on a conservatory. Although we strongly advise checking the limitations of installing a conservatory in your home. To achieve the best possible conservatory roof for your requirements, you need to choose one that meets the expectations of your living arrangements. Whether you want a sunroom in the summer or a place to relax all-year-round. There is a conservatory-style to suit your needs. So, can you have a replacement polycarbonate conservatory roof? The answer is yes. Polycarbonate conservatory roof prices can range between £2,000 and £8,000. This roof option is the most cost-effective. To get your free online conservatory quote, we can put you through to a local trusted installer. Compare the roofing prices in your area and get the best deal for you. If a conservatory that enhances natural light and can withstand the most extreme temperatures is for you, then contact Conservatory Online Prices. We can help you find your replacement polycarbonate conservatory roof. Join the thousands of customers looking for an affordable, cost-effective conservatory replacement and start your quote today.